We ensure a level playing field. What Is the DBE Program? What does DBE have to do with the Harbor Bridge project? The Disadvantaged Business Enterprise (DBE) Program provides a vehicle for increasing the participation by minorities and women in state and local contract opportunities. The program is designed to ensure a level playing field for DBEs to have equal opportunity to receive and participate in contracts that are assisted by the U.S. Department of Transportation (DOT). Federal regulations 49 CFR 26 require that state and local transportation agencies receiving Department of Transportation funds establish a DBE program and set goals for participation by DBE certified businesses. These agencies are required to set annual DBE goals and review contracts during the year to establish contract-specific DBE prime and sub-contracting goals. Must be a small business as defined by Small Business Administration [SBA] size standards and does not exceed $23.98 million in gross annual receipts. With the upcoming Harbor Bridge project in Corpus Christi, Texas Department of Transportation (TxDOT) will attempt to award much of the work to DBE certified firms. The review process, after a completed application is submitted, can take a few months, so now is the time to apply. 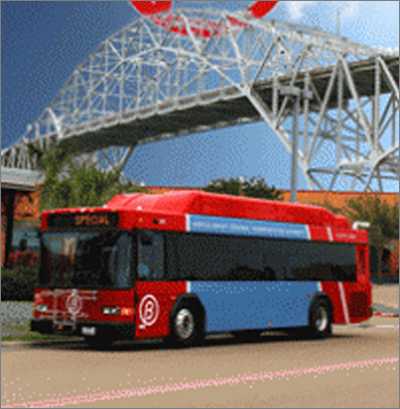 Conveniently, for area businesses, the local certifying agency in Corpus Christi is the Regional Transportation Authority. Find the application here.